In March, Wired.com announced the formation of a crowdsourced citizen journalism project called Assignment Zero. The idea was to have a crowd of volunteers write a report on, well, how crowds of volunteers are affecting business in the New Media age. In April, I signed on to be part of a collaborative project to write an ebook called Age of Conversation. This book was jointly written by 103 authors each contributing one chapter (a one-page essay) on the aforementioned topic in whatever way they chose. It turned into a hardcover, softcover, and an e-book orderable through lulu.com, with all profits going to Variety Children’s Charity. Each of these initiatives was something of an experiment in collaboration – one in collaborative journalism, the other in collaborative publishing. 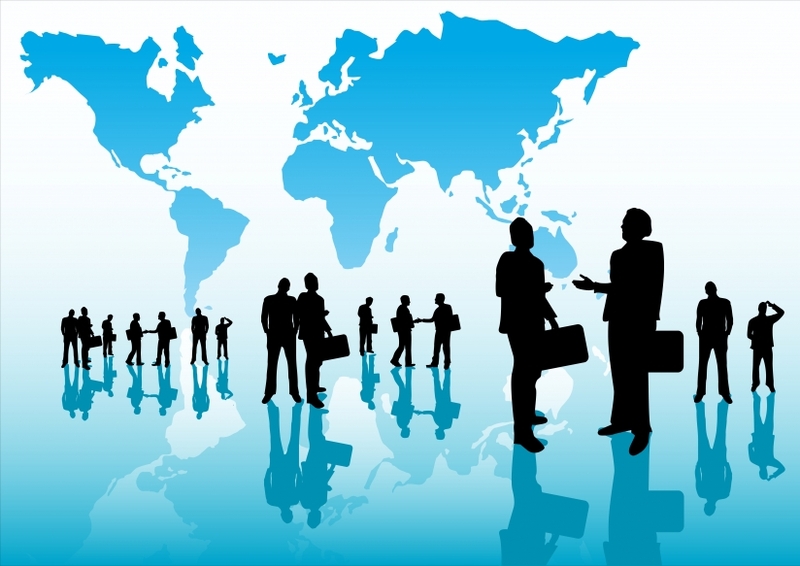 Moving others to action towards a common goal is a great benefit of web 2.0 technologies! Assignment Zero: Some great feature stories were published on Wired.com (including this great article from Kristin Gorski on Crowdsourced Books!). One of the best results was a powerful resource: the AssignmentZero Interview Directory, containing transcripts for 80 interviews of some of the best minds and experts around crowdsourcing, customers, and technology (go to the bottom of the above linked article and click on the category that interests you). I had the privilege of interviewing two leading thinkers. First was Dr. Martha Rogers, co-founder of Peppers and Rogers Group (where I was formerly a senior consultant); her interview is called Customer Relationship Management: Crowdsourcing at Work or How a business can collaborate with customers. I also interviewed Jack Jia, founder and CEO of Baynote, Inc; his interview is called What Exists Beyond the Seen Crowd or The wisdom of invisible crowds. Although I had a few standard questions to ask each of them as part of my reporting assignment, I was able to be flexible and explore other areas as well. A real learning experience for me! Age of Collaboration: A fabulous book with many varied insights from the 103 authors. I just received my hardcover book the other day and am still working through it! It was great to see the different perspectives on conversation; it reminds me how important it is to understand another person’s context before trying to get your own message across. My chapter is on page 14 called Conversations and the Customer Experience. It is about looking at a customer’s experience as a set of conversations across the customer lifecycle. If we can manage the conversations properly, we can create a fabulous customer experience! The most amazing part of this collaborative effort is that it has only just begun! The conversation is continuing at Facebook, on the various blogs of the authors, and best of all, through new conversations between the authors. We are becoming a large “team” who is getting to know each other better and building a special community. We are using social networking to pull together sub-teams to champion the book and its cause. I love being part of this kind of team with such passion – a team of great thinkers from around the world. How can you start to collaborate today? Who would you do it with? Your customers are a great place to start, and they just might be waiting for an invitation. Your competitors are another area to consider. Sometimes a collaborative offering can be more impactful in the marketplace as it focuses on meeting customer needs more completely. Take a few moments this weekend to peruse some of the AssignmentZero interviews, or get yourself a copy of the Age of Conversation ebook and start reading. Keep a pad of paper and a pencil close by; you just might find an idea or two worth putting into action through your own network next week. In the second and final part of the interview with Diane Berenbaum, Senior VP at Communico, Ltd. and co-author of the book How to Talk to Customers, we discuss listening skills for customer reps, tht 33 Points of MAGIC, the worst mistakes made by contact centers, employee loyalty, as well as a few success stories. Here is the first part of the interview, and here is a great summary of it from the blog CallCenterScript by Michael Moser. Many thanks to Diane for taking the time to share with me and with my readers. Diane, you rock! Becky: We were talking about one of the most important relationship skills being listening. One of the things I blogged on in my book review was your “Four Levels of Listening”, and I would like to know if you agree or disagree with me. I read the first three levels as a continuum for call centers to follow, Level 1 being a basic call center, then moving to a better-working call center in Level 2, and Level 3 being a best-in-class call center. I am not sure that Level 4 fits in with a call center, and I wanted to get your opinion on that. Diane: I totally agree with you. Level 4 listening is very rare. It is the intuitive kind of listening; you barely have to speak, and the other person truly feels as if they have been listened to. Sometimes we like to call it “silent surfing”; you are on each others’ same wavelength. Because they listen to you so well, they know you well, and all you need to do is just be with them, and you feel special. In some of our training groups, we have asked people to highlight, anonymously for their own personal growth, relationships they have in their company, in their families, and other places. This all relates to personal relationships as well. Becky: When do you think it is appropriate to use Level 2 or 3 in a call center? Diane: We suggest that call centers or contact centers aim for a Level 3, as this is the level where empathy really comes in. When customers feel this warmth and perception from an organization, they are going to feel like they’ve been listened to and cared about, and they are more likely to want to have another contact with you. If you only operate at Level 1, it is just about information going back and forth, and there are plenty of other places I can go for that. But I kind of feel special when I talk to ABC Company, they really get it! B: That’s how this caller was feeling. B: It is terrific! I thought you might find that a fun example, and it reminded me of your empathetic listening. That’s probably what that call center rep was using. D: Oh, I see their blog right here from your site; I will have to check this out. And yes, that call center rep wasn’t just “going through the motions”, they were really caring and listening. B: So, let’s talk about the “33 Points of MAGIC”. My first impression when I read the book was that is a lot to remember! It is very detailed, which is wonderful. How can it be used in a call center operation? D: Many organizations use this as a standard, and that is the key. If an organization doesn’t have a standard for service, you can imagine what level of service is going to be provided. The key is consistency; it only takes one interaction for someone to make a decision about the individual, the company, and whether to take his business elsewhere. Consistency is really key. Although 33 Points may sound like a lot, people are doing many of them already. It is about understanding the finer points and behaviors that will help them stand out, the things people tend not to do. B: This is really tweaking the call center rep’s performance and making improvements. D: Exactly. The 33 Points are arranged in the flow of a call, so what a lot of companies do is use this as their performance form (what we like to call observation form versus a monitoring form). The beauty of it is these points are behavioral and specific. Instead of other forms that are vague (Were they courteous? Were they nice?) – those aren’t easy to determine – the 33 Points form is very specific and behavioral, which makes it more objective and more measurable. Many companies use that to assess their level of service and to provide further development for some of their reps. Individuals who have a real desire to help build a service culture will give developmental coaching. They might work with a rep, saying “Here, let’s listen to some calls”, then go through the 33 Points, and ask them what they think is working, what do they need help on, and get agreement. “Let’s work on your Tragic phrases. I heard you say ‘I’ll try’, and that can have an impact on the customer.” It helps the organization identify areas where there is a need for further development so the reps feel they are getting the tools and support they need to excel. They know what it takes from the form and the 33 Points, they are getting the coaching, and if they are getting the recognition as well – it’s a beautiful thing! The organization ends up with a culture where people are all scoring, say 29-33 (out of the 33 Points). This is a culture that is really going to stand out. B: You are tying the incentives all the way through that: this is the goal, this is how you get there, and then the reps are incentivized based on how well they are doing on the 33 Points. D: Many organizations do that, and it becomes their standard. We can also tailor the 33 Points as well. Some organizations may want to have a great focus on some behaviors they have noticed, such a slang or cross-selling. We can adopt the 33 Points for your organization so it fits your needs and your customers’ needs. B: That makes a lot of sense. B: Diane, what would you say is the worst mistake you see in call centers? D: I think it relates to what we were just talking about. I think the worst mistake is they undervalue the middle management level. They don’t recognize the impact and importance of team leaders and supervisors. For example, most of the time, the team leader or supervisor is someone that was a really good rep and was promoted. They know their stuff on how to handle the call and how to work the system. They don’t necessarily know how to coach others. Yet, that is what their new role is. A couple of different things can happen. When they are coaching, they can end up using what I call evaluative or punitive method of coaching. For example, “You missed points 4, 5, and 6 again today. I told you last time we met, and you missed them again.” Versus developmental coaching, where it is more of a partnership; you are asking them questions and collaborating with the rep to really help them progress. Organizations don’t realize their impact, they don’t give them enough training around how to be a coach. Lastly, also related, they don’t give them time to be a coach. They are fighting fires! I hear this all the time: “We are just so busy fighting fires and taking escalated calls, we don’t have time to coach.” Coaching is going to be the key to success. Not only will their measures improve, their associates will feel better about working there, they will stay longer, they will deliver better results, and everyone’s happy. B: So the organization is saying they want some proactive coaching, but they are not really building that into the staffing model. D: Exactly. They just say, “Team leads, make sure you get the numbers right. We don’t want calls waiting; watch the abandon rates.” They don’t realize the importance of this role. The supervisors and team leads are in direct communication with the reps, who are the also the ones in the most direct contact with customers. B: And because they used to be a rep, they already have a rapport, or relationship built with the other reps. So a friend is telling them these things. D: That can be awkward, too. We help them through the process of how do you establish a coaching relationship? This is very rarely done. B: That is a great insight, and it is not one I would have guessed. I agree with you that they are undervalued, and I think this is missed a lot. B: Let’s talk about how long this process typically takes. When a client comes to you and says, “We know we are in pretty bad shape. We are Tragic; help us move to MAGIC.” What does this journey look like? What does it take for them to do this? When we first started talking, we discussed whether or not there is alignment with the customer and the employee experience. D: There’s not a specific answer to how long this will take; it will really vary. It depends on a few things: a commitment, particularly from the senior team, as well as where they are starting from. If you have a culture that has been embedded for many, many years, and you’ve got a massive organization, it is really not easy to change a corporate culture. If you have a pocket or department with an enlightened leader, you could see results fairly quickly, in a few months. The biggest thing is to get the buy-in of the senior leadership up front. If they continue the communication around the importance of the service initiative, and there is follow-up through training and after, to make it part of the culture, you can see results more quickly. There is a service vision, leaders model it, they have a consistent delivery of service because they have a standard, they do developmental training and coaching, and lastly, they are looking at their systems and reinforcing it regularly, then you get results. We’ve worked with small pockets that embrace it very quickly; they have what we call “MAGIC Champions” inside who are looking for ways to be sure it is reinforced and looking for drivers to keep it going. We have seen companies make a difference in literally a few months. D: But others can take years. Pockets can go quickly or can take longer. I was working with an organization where a bunch of different companies were bought, but each of the companies was still run a bit autonomously. A year or so later, I am reconnecting with them as I had heard some areas had customer sat scores which were up 4%, other areas were up 10%. My contact told me it was all about the active leadership. Areas where there was active leadership and support, they got the results and were keeping it going over a year later. In other areas, they could go back to square one where they hadn’t followed it up. D: Yes. If they don’t talk about it but instead reinforce other measures, not much happens. B: Tell me about one of your most successful customer service transformations using MAGIC. D: I think one of my favorites is a company called DST Systems. It is not a known name, perhaps, but what they do is provide record-keeping services for investors in some of the nation’s largest mutual funds. When you are calling Big Name Fund, you may think you are getting them, but you may actually be getting someone from DST Systems. They are the ones helping customers. The beauty of this industry is they have an outside measure called the DALBAR report which compares service levels among mutual fund companies. When we started with DST, they were rated towards the bottom, as was another mutual fund company. They wanted to make improvements, so they partnered with us. They got a lot of support, embedded it in the culture, and ended up winning not just a lot of DALBAR awards but also won the highest award granted by DALBAR called the Quality Tested Service Seal. That is not just excellence in service to customers but also excellence in service to distributors and employees. Internally and externally, they saw a dramatic shift! They credited MAGIC and their training for the success, they celebrated together, and they still continue to win DALBAR awards. B: That’s fantastic. Sounds like they really kept it going. D: They did. It shows you can be at the bottom and with commitment and the right focus and approach, you can rise to the top. B: How long did it take them to do that kind of turn-around? D: It is in terms of when they are measured, how often they measure. It took about one year, but they have kept it up, which I am even more pleased with! It was a very special turn-around and a big effort. B: That must have been fun for you to work with. D: Yes, and I did some of the training myself there. I certified several folks there so they could keep it going. B: Thanks for sharing that story! Anything else you want to share with Customers Rock! readers? D: If you come with a belief and a mindset that there is MAGIC in everyone, and you bring a service mindset to everything you do, you’d be amazed at the results in terms of relationships – not just with customers, but with other people you know. For the book, we asked our clients to share some stories, and some of them shared these very touching stories about their family. One lady reconnected with her dad. She said she knew about MAGIC (she was a facilitator), and she decided to use it to approach her dad differently. There was a whole new relationship after that. B: That sounds very powerful. D: It is really powerful. I had a person, a gentlemen whose wife was pregnant, and after day one, he said he was a different person in the way he was relating to his wife. Another one, a hotel client, felt it was so important they trained everyone – including housekeepers. We were told the story of one of the housekeepers who was kind of reserved, walked around with her head down (“I’m just a housekeeper”), and she went through the training (which made her feel special), and they treated her differently. She wrote to the person who delivered the training and said, “Thank you. You are my hero. I now feel so important.” She ended up winning awards for her contributions because she had a whole different mindset about who she was, and it showed in her work. B: Investing in your employees like this, while it is an expense, goes a long way towards employee loyalty and getting them to feel, “I am valuable, I am an important part of this, and everything I do affects the customer”. It helps change their mindset. D: Absolutely! It’s worth it. If you don’t do it, you have people running around who may not care about themselves. It really is worth taking the time to invest in your employees. Actually, that’s another mistake companies make: not investing in training for their associates. B: That’s a good one, too. I would agree with that! Thank you so much for taking the time today to talk with me and my readers! I recently had the opportunity to interview Diane Berenbaum, Senior VP of Communico, Ltd. and one of the authors of the book How to Talk to Customers (reviewed here). We talked about Diane and her company, measuring customer service, and how to hire customer service reps among other things. The first half of the interview is being shared today. In our second half, we will discuss customer listening, moving from Tragic to Magic, the worst mistakes made by call centers, and success stories. Becky: Diane, thank you for joining me and being willing to answer my questions about customer service. Let’s start with your background, how long you have been with Communico, as well as where you were before that. Diane: Sure! I have been with Communico 21 years, so it’s been a long time. Through that time, I have been responsible for a wide variety of functions and roles. I am responsible for the marketing of the company, I’ve been involved with many client relationships and have managed many client relationships, and I even deliver most of our programs as well. I also look forward for the company and do the strategic planning as well as thinking about where we are heading in the future. Becky: Wow, 21 years is a long time with one organization; you must really enjoy it there! Diane: I do, I love it here, and it’s mostly about the people. Everybody here has the mindset of MAGIC, so it is great to come to work and know that people care about what you do and care about the others in the organization. I do believe in what we do, and we know and see that it makes such a big difference out there. It makes you feel good when you are working with an organization and having that kind of impact. B: How long has the concept of MAGIC been around at Communico; is it something that is recent, or has it been around for a long time? D: We first came up with the concept of MAGIC back in about 1989, that was our very first inklin. And then, we came up with the acronym and made it stand for Make A Good Impression on the Customer. We realized a little later that “Good” wasn’t really good enough, and even before the book came out, we made it Make A Great Impression on the Customer. Since then, we have taken the core concepts and created a whole range of services that help companies have not just one interaction that is MAGIC but build a whole culture of exceptional service. B: Tell me more about what Communico does and how you do it? D: Okay. Our goal is to partner with an organization to really build that exceptional service culture. That means we offer a range of services. We start with assessment to get a feel for where your organization is today. Based on some of our research, we have come up with a way to identify what we call “pillars” that are elements found in organizations that are able to really sustain great service. We also work with some organizations, particularly with the leadership teams up-front to explore alignment. Is there a shared vision for service that engages a whole organization? It is not just about the customer experience, which is important, but it is also about the employee experience. We deliver training in a variety of areas, not just customer service but also coaching and written communications, everything that makes an impression. We also help organizations to sustain MAGIC, look at their own systems to embed MAGIC in the culture, and reinforce MAGIC in various ways such as recognition and reward and even performance management. Is it aligned with MAGIC, or is it rewarding something different such as quantity of calls rather than quality? B: Exactly. It seems that quite a few call centers are measured on trying to get through as many calls as they can in a short period of time? 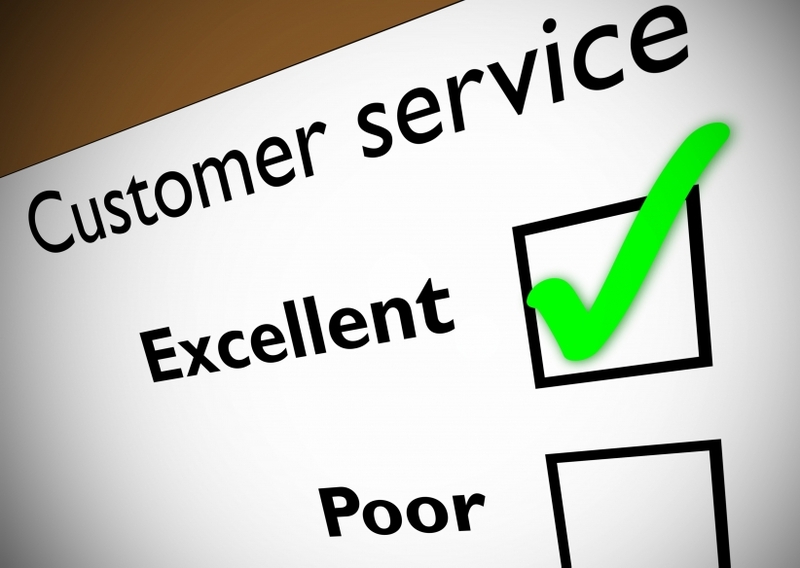 How does a company measure customer service? D: There are a lot of different measures call centers use. In terms of the key measures I see today, some organizations measure service levels, and they use outside organizations to do so, such as a JD Power-type organization. You also have the next level, where many organizations are doing research and surveys around customer satisfaction, though I don’t think satisfaction is quite enough. I would say the most important measures now, as time has gone by and more research has been done, the first would be retention. How likely is it that customers will keep buying from you? The most recent McKinsey research says that repeat customers generate over 2 times as much gross revenues as a new customer. So retention is vital. The latest thinking is on referrals. How likely are customers going to refer you to others? They like you so much, but they’re not just going to keep buying from you; they’re going to tell the world about you. B: Is that something you are working with customer service organizations on, getting the referral, or are you more focused on customer satisfaction and making sure customer issues are resolved? D: Our focus is primarily on the service levels, but if an organization wants to partner with us in a full way, we will work with them and help them achieve those goals. If the goal is retention, we will explore all the different elements in their organization, including processes and interactions, and certainly ask customers what they are looking for. We can help them with customer surveys, for example, and help them reach those kinds of measures, improve retention and referral measures. Is the Customer Always Right? What about Customer Value? B: Great. Let’s switch gears a little bit. 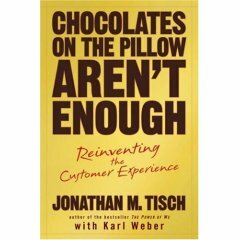 Early in the book, on page 26, you talk about “The customer is always right” as being misguided. You state that the critical issue is, “…one of treating everyone as valuable.” My background before Petra Consulting Group was being at Peppers and Rogers Group. Peppers and Rogers would say that not everyone is valuable to the same degree, there are different degrees of customer value (looking at customer value models). Do you think that should affect how customers are treated? D: It depends on how you use the word “valuable”. Our philosophy is, in essence, that all customers have value, and we translate that to mean that you need to treat everyone with that in mind. This means you treat everyone with respect and accountability, regardless of the size of the organization or the dollar they generate. This is just a general philosophy of how you treat people, how you treat customers. Speaking of the dollar value, certainly customers can have different sales, different profitability, all those customers are part of the mix. We also even believe you can grow a relationship. If you treat someone in your top tier “special”, then you decide you are not going to treat the “tier 4” people quite so special, a few things could happen. You could have the “tier 4” people just leave, but also, if you treat them with a sense of respect and value, they may ultimately become one of your top tier customers. Customers have different values: sales, profitability, even a PR value, if you have a big name client that has a certain value to the industry – that’s all part of the mix. We’re really speaking to the fact that if you treat everyone with value, you will see different relationships grow. B: You never know what’s going to grow into a bigger relationship and what isn’t. D: Exactly. A lot of big companies today started as small companies or even started in garages. B: Yes! I came from Hewlett Packard, and they started in a garage! D: It’s the first people that treat them well that they tend to stick with, and those companies benefit from the success, too. B: Great. Thanks for your perspective on that, I appreciate it. As I was reading through the book, I had to stop and think, do I agree with this? And I decided I did agree, as you are not saying treat people badly nor treat everyone like kings, but treat everyone with respect. D: I’m glad the book triggered some thoughts like that for you. B: Absolutely! If you saw my book right now, you would see lots of highlighting, notes in the margins, question marks, and comments of my own. I really digest this stuff thoroughly. D: It is nice to talk to another customer-service focused person! B: Let’s talk about customer service reps, as I feel like a lot of the book is geared to them. Although, like I said in my review, I think you have written the book in such a way that executives can take it and get what they need from it, distill it, and even pass it on to their reps to help the reps improve their performance. What do you think are some of the most important skills for a customer service rep to have? D: Some of the most important skills are what I would call relationship skills. Most of the reps are good at the task stuff – they process orders, fulfill requests, and they learn that quickly. To really stand out and make a difference, they need to focus on relationship skills like listening. That is not just listening to hear the first thing the customer says, it is really listening to understand what the customer wants, what their issues are, and why it is significant to them. We call that the What and the Why. To really listen at that kind of level, you give customers security and confidence, and that will be memorable. B: Would you recommend trying to put that into your hiring process, to find reps that already have this skill? Or do you think this is a skill that’s teachable? D: I’d say yes to both! Whenever you are hiring a rep, in the process you should explore their ability to listen as well as other relationship skills like empathy. Are they able to acknowledge how others feel? This is not something that people are explicitly taught or modeled. However, it is vital. It shows you care and will set you apart, and it will help customers feel more comfortable. Calls will actually go faster if you empathize right up front! In your hiring process, we recommend and many of our clients use MAGIC as one of their on-boarding tools and as one of their assessment tools right up front. Not to suggest that someone would really model all of them, but to get a sense of what their natural inclinations are and how they handle customers in difficult situations before they start. B: When you say MAGIC, are you talking about the 33 points of MAGIC, or the five key pillars of MAGIC? D: Well, some of our clients use the 33 points, and they will record a conversation. If MAGIC is embedded in their organization, and it is their standard, then they use it for hiring, the orientation process, as well as training once they are on board. Some of them, for example, have people role play or model a scenario. One client has a supervisor in a separate room who actually makes a mock call to the person being interviewed and pretends to be an upset customer. They make it as realistic as possible, they record it and play it back, then they listen! “Listen to the tone. See, she sounds like she really cares. She may not have the exact words to use, but we can train her on that, but the tone is right, the pace it right. Ooh, notice how she says “please” and “thank you” there.” This can definitely be part of the hiring process.